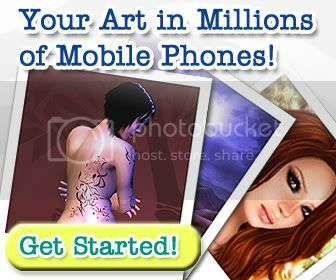 The app features more than 300 amazing images (Second Life photos, 3D Artworks, virtual worlds screenshots and avatar art). The end user can browse the large gallery of photos and set them as wallpapers. More than 80 Koinup artists contributed directly to the project with their images! We wanna say: "thank your very much to all of you!" Learn more (list of supported devices, how to download the app, etc) abouth 3D Wallpapers in this page.